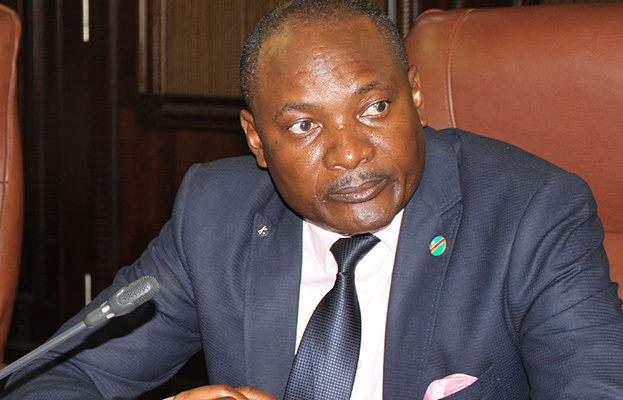 ENVIRONMENT minister Pohamba Shifeta yesterday said the Chinese government’s ban on trade in ivory will only make the black market for rhino horns and elephant tusks more lucrative. Shifeta said this after China’s ban on ivory trading, announced last year, took effect on New Year’s Day. Asia, particularly China, has been reported as the biggest market for elephant tusks and rhino horns, which are popular for traditional medicinal purposes and the carving of icons. Al Jazeera reported that the ivory ban is considered a step in the right direction in conserving rhinos and elephants. Shifeta, however, said the ban would only increase the price of ivory, and cause the black market to boom. “What we want to see is stricter measures taken with regards to security and the monitoring of illegal ivory and rhino horn trading. Our fear now is that this would only make the black market more lucrative. This is not a solution. It was not a question of banning legal trade, but curbing illegal trading,” the minister stressed. He added that government has an ivory stockpile which could be sold on the international market, and the proceeds ploughed back into the country’s conservation efforts, but expressed concern that this might now be jeopardised. “Criminals will now get more money, and those who used to buy ivory legally will be encouraged to get it elsewhere; unless loopholes used to get the ivory and rhino horns into the market are closed,” he said. The Namibian Professional Hunting Association (Napha) was quoted by international media as stating that the ban will not address the poaching of rhinos and elephants, but nonetheless called for the ban to be widened to include other endangered species.